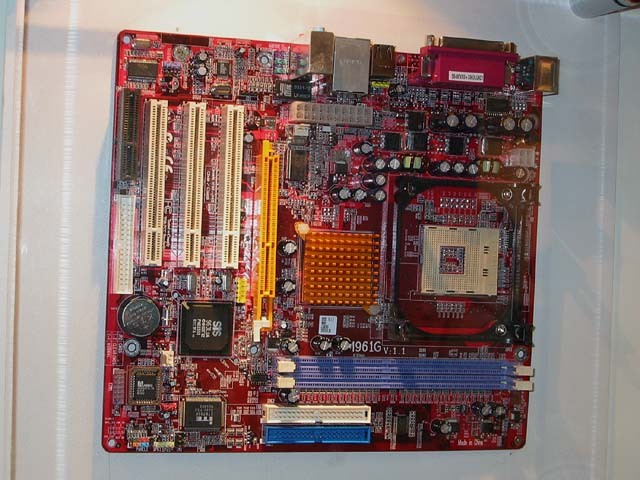 That photo is the only reference about any M961G motherboard. Out of interest, is there an inductor next to the auxiliary power connector on your M961G motherboard like there is on the Syntax? Syntax do not currently have a BIOS available for download, so we cannot compare the BIOS strings. Granthill's M961G V3.1 has 3-phase power, wheras the original picture he posted of M961G V1.1 only has 2-phase power, like the Syntax board.